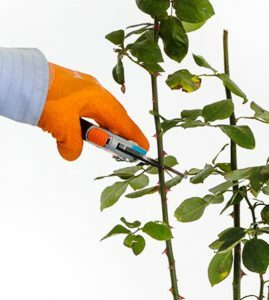 Its time for your Winter rose pruning, which means rose rejuvenation time is here and we have the tips and equipment that you need to prune your roses with ease and gusto! From mid-July until mid-August is the optimal time to prune your roses. For the warmer Joburg climate, late July is ideal, depending on weather conditions. 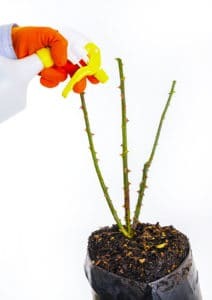 Pruning allows for your roses to receive a much needed trim that will not only ensure hearty growth and exquisite blooms into the Summer season but will also assist in maintaining the finest appearance and keeping your rose bushes strong. Pruning can be a largely enjoyable task with the right equipment. 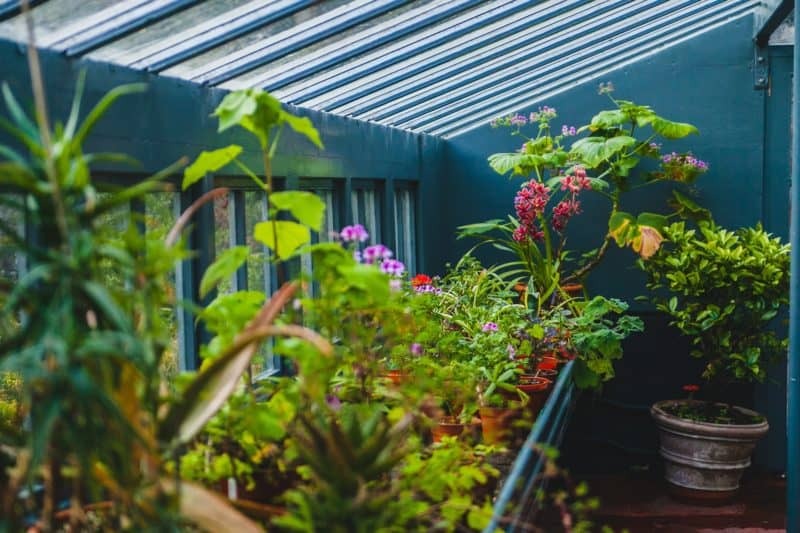 Ensure that you have a sharp pair of secateurs, gardening gloves, a bag for your clippings, a trusted insecticide or insect spray cocktail (with various alternatives visit Lifestyle Home Garden for advice on what is available in our plant doctor section), rose fertiliser, a garden fork and an organic material or compost. Make a clean cut at a slight angle, ensuring that the thicker blade of the secateurs or lopper is pointed away from you to prevent bruising of the stem. Spray a trusted insecticide or fungicide as prevention against borers, eggs of possible pests and fungal spores. 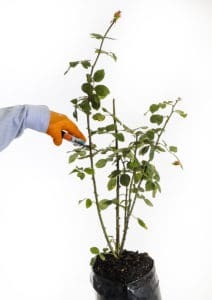 Once your roses have been pruned it is important to give them a little bit of TLC, following the spraying of pesticides, break up the soil surrounding your roses and fork in some organic material and a handful of rose fertiliser for each rose. Roses are shallow-rooted, so be gentle when doing this and ensure that you do not disturb the rose roots and avoid tossing the soil right against the base of the rose. Additionally, try and avoid getting any chemical fertiliser on the stems after pruning as this could cause stem burn. Thereafter, it is imperative to water your roses thoroughly once they have been pruned and continue to do so on a regular basis in order to ensure a gorgeous display of roses in summer. Furthermore, you should feed your roses every month with a 5:1:5 or 8:1:5 fertiliser and water well after each application. 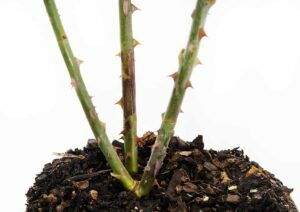 Even though your rose bush will look very spindly after pruning, the future outcome will be worth it! 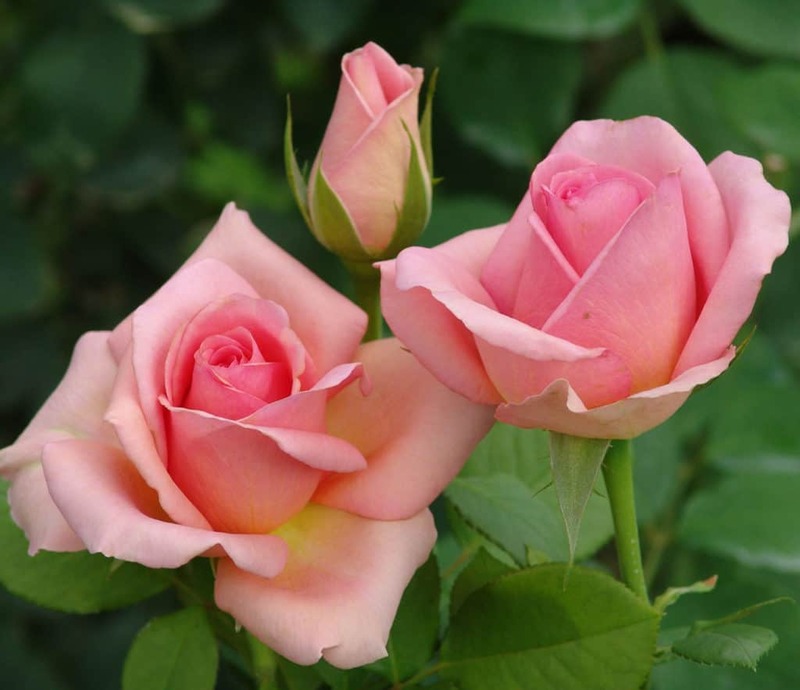 So do not worry if your rose bush is now in flower and you do not want to lose the luscious bush, pick the beautiful roses to be admired in a vase at home or at work – for the future bush will be even grander! Click |HERE| to view our latest SPECIALS leaflet for all the pruning equipment you need!